There are two things that never fail to put a smile on my face: Austin, Texas and Facebook advertising. 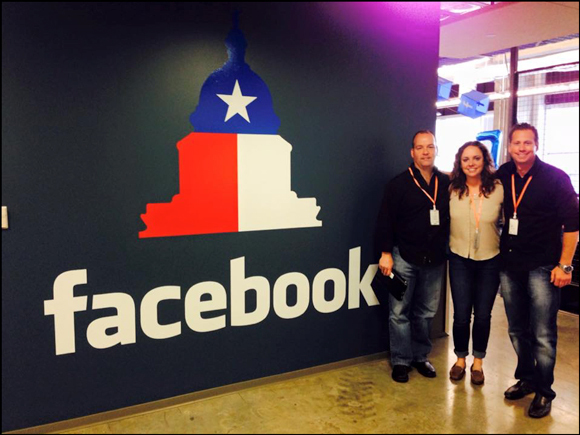 I had a meeting with Keith Krance and Molly Pittman at the Austin, Texas Facebook office to meet our Account Manager extraordinaire, Justin. 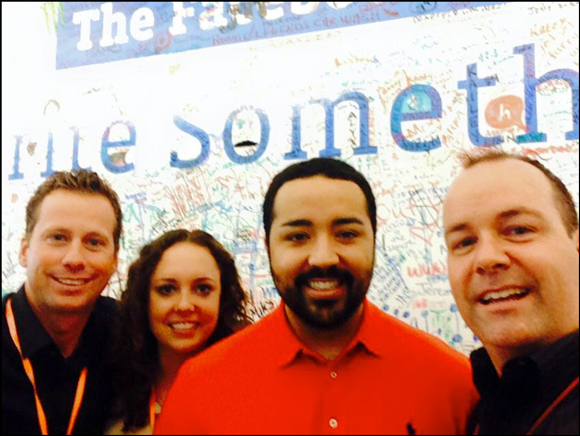 As advertisers on Facebook, we were super excited to finally meet Justin face-to-face, (along with our new Account Manager, Stephanie) and get to better understand how-to best leverage the platform for ourselves, and for our clients. Skype and GoToMeeting calls are great, but nothing beats a “real” meeting to build a relationship and get to know someone. Plus, we were really curious to get a “behind the scenes” look into the inner workings of arguably the most powerful ad platform in the world. First off, the Facebook Austin office is epic. The people and the culture they’ve developed is truly extraordinary. I can see why they attract the brightest young talent the world has to offer. Some of the things we discussed are not necessarily fit for print at this point, as some changes are being rolled out to selected advertisers — however, we will share four of the biggest takeaways Facebook wants to share with its users. Although the usage of the platform is growing by leaps and bounds, it’s clear that Facebook is fully committed to doing everything they can to help us as advertisers while continuing to improve the user experience they’ve so carefully engineered since it’s inception. Although this launch had been announced a day or so before, the new Facebook Blueprint online training is a new way to educate and assist advertisers in achieving their advertising goals. Even with a good online training in ad creation and campaign management, there was a clear need to educate the mass of new and seasoned advertisers with a comprehensive training platform all in one spot. 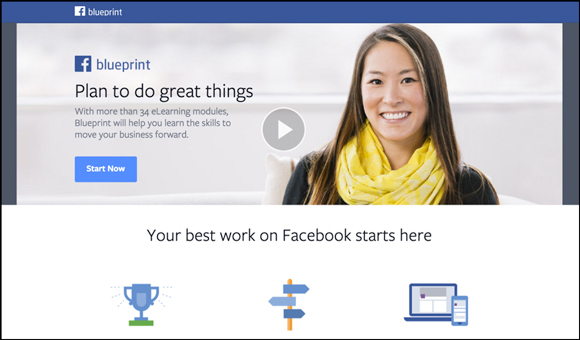 With Blueprint, Facebook has put their best training into more than 34 in-depth online courses and made it available to anyone with a Facebook account. Regardless of your advertising goals, the new self-paced online training will help you get the most from Facebook, build your best campaigns and see your best results. 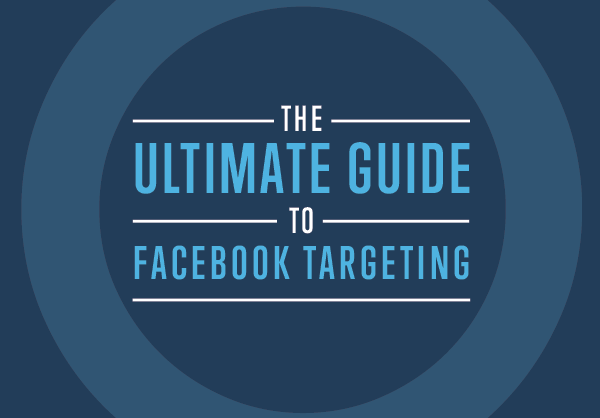 The Blueprint also promises to give you insights and knowledge about Facebook ads that others won’t. After an initial review of the Facebook Blueprint, it’s a solid training platform that is conveniently designed to tailor to your individual kind of advertising. Whether you’re into direct response lead and sales generation, branding, local advertising or App promotion, it has learning modules for each one. Definitely check it out on your own here. With over 1.3 billion active users, Facebook is an ad platform unlike any other. There really is nothing else like it in online advertising — it’s a far different animal than AdWords, media buys or display networks. One thing was clear after our meeting is that the key to success with Facebook advertising is engagement. For an advertiser coming into Facebook with experience in any of the other ad platforms, you’ll soon discover that Facebook is very different. Instead of expecting an action on your first touch, the most successful Facebook advertisers draw people into their brand and their message first, and then go for the “ask” afterwards. 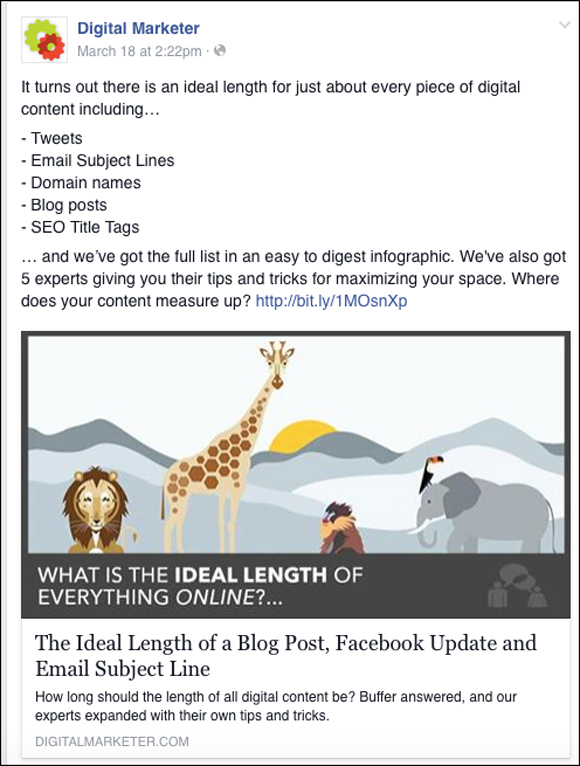 The logical end result of your prospect consuming this kind of content is to then willfully take the relationship to the next level. This “next level” could be entering their name and email to get more information, setting an appointment with your business, stopping by your store or simply making a purchase. As is the case in real life, people do business with people they know, like and trust. And on Facebook, cultivating that relationship naturally (without high pressure or trickery) is one of the big keys to success. One of the best ways to engage and ultimately convince the prospect on taking that next step with you is through video ads. And to do this most effectively, the best kinds of video ads are “story-based”. These are videos that tell the story of a customer who has experienced good results with your product or service. 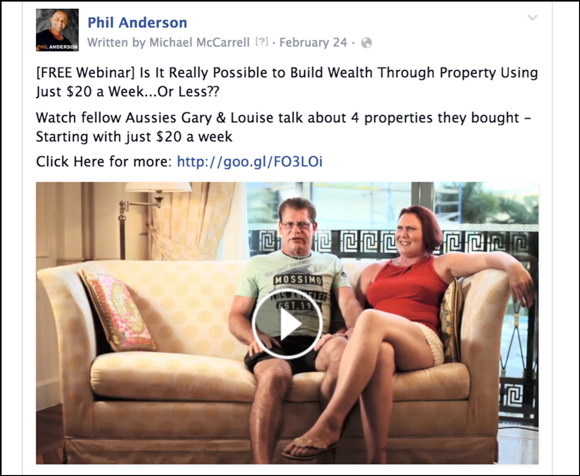 These videos could also include case studies of your customers as well. Bear in mind, these video ads don’t need to be long — they just need to be authentic — with real results from real people. And when you pair this kind of ad with a subtle call to action, that’s when the real magic happens. Video ads are so powerful because they not only work to engage your audience but to convert your audience as well. We’ve seen video ads work really well on both ends of a sales funnel; at the front to gather a lead, as well as at the end to close the sale. When we discussed this with Justin, he agreed. He said that because video ads convey your message completely differently than just text or text and image, they are extremely good at engaging and convincing in a completely different way. Provided you do your homework on targeting, we see video ads oftentimes have higher Relevance Scores than their image and text counterparts. It’s clear through the news that Facebook is making a big push into video to even dislodge YouTube in many respects, so video right now on Facebook is huge. But discussing alternative strategies on how to bet use video with Justin and Stephanie, that although we are huge proponents of video, we realized that even we were underutilizing video in our advertising. And as Facebook migrates to becoming more relevance and “quality score” driven, properly targeted, authentic video ads not only help you to convert, but they also may help you stay within Facebook’s terms of service guidelines as well. The last thing to mention is the importance of the Austin offices in general. We all thought that the other offices in Menlo Park and New York had equal Facebook Advertising responsibilities. Although the big brand representation does sit in other offices in Los Angeles, New York and other cities, Austin is the account management hub for Facebook Advertising. To be expected, Facebook Austin is a remarkable office space, with open floor plans, stand up desks in many spots, a cafeteria and work spaces that befit a fast-growing Internet-based company. In the two floor offices, there are two floors of Account Management – both at an individual level as well as at a group level. Even with the explosive growth in advertisers on Facebook (2 million and counting), the Account Manager group of 40 is responsible for account management for all those advertisers – but handle only select specific advertisers based on a number of criteria for inclusion. Each Account Manger handles a specific amount of accounts and they are spread very thin based on the recent growth. Soon, the group will be realigning into specific niches as well as categories of advertisers to make them even more efficient with their time. This is the reason Stephanie will be coming in for us instead of Justin – although they will still work very closely together. Key takeaway: For those of you who have Account Managers, there may be some realignment coming your way. Also in Austin are the Policy Teams who do manual reviews of ads and client accounts. The Policy Teams are on the same floor as the Account Management team separated by conference rooms, hangout areas and photo opportunity walls. 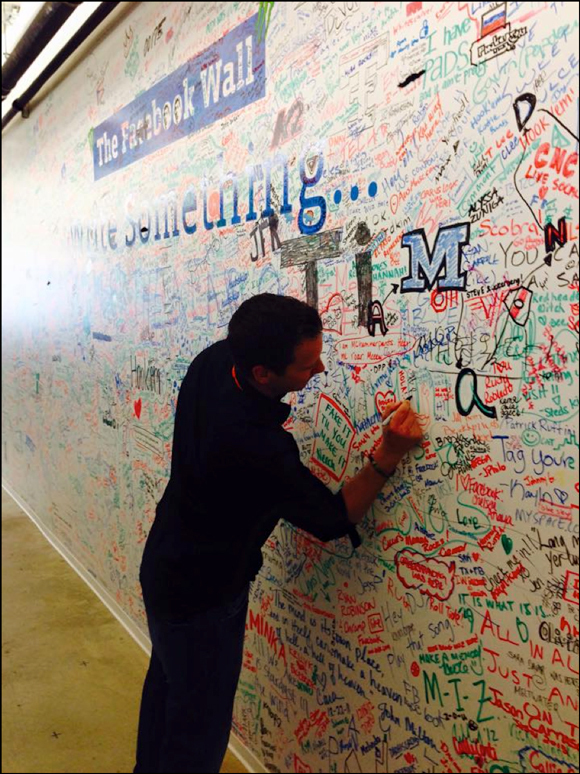 One photo opp wall in particular is where you can sign your name to the “real” Facebook Wall…which of course, we all did. Facebook is changing rapidly, with lots of changes coming down the line very soon and those mentioned here are just a few of the big highlights. What was really clear to us though is that Facebook realizes the growth they are experiencing is a challenge to manage, but they are doing all they can to make it the best advertising platform in the world. The real challenge is to manage this growth, do the right thing for the user, satisfy investor demands but also keep the user experience top notch. From what we saw in our visit, they are doing a pretty darn good job juggling all those things together. And what’s even cooler is that although it’s a super busy time for everyone who works in the Austin offices, our Account Manager Justin (and now Stephanie) took the time out of their hectic days to show us around, answer all our questions and give us a complete office tour – all in a day which we’ll not soon forget.